Joel Ivany’s much anticipated “semi-staged” version of Mozart’s Requiem K. 626 finally saw the light yesterday evening at Roy Thomson Hall. There were some interesting ideas but, ultimately, I didn’t think I came away with any new insight into the piece or life or death or anything really(*). I’ll go into the reasons but first I should describe how it was performed. The mass is prefaced by the slow movement from the Clarinet Quintet. The lights go down. The five players enter via the aisles in the audience lower level and take their seats (sadly to applause which we had been asked to refrain from). As the quintet is played (and it was very beautiful) the players are joined by the rest of the orchestra, the choirs, conductor and soloists enter through the audience and from the wings and deposited slips of paper (I think) on two benches at front of stage left and right. Names of the dead? Probably and that’s a nice touch though scarcely original. The quintet concludes. More unwanted applause. At this point the orchestra are seated , more or less conventionally, around the conductor with the choirs around them. There are lots of fancy chairs. The soloists are more or less in conventional position in front of the audience. Everyone, except the mezzo and the soprano, are in black. The very crowded stage is quite dimly lit in bluish tones. As the mass progresses, the soloists interact in various ways. The choirs gesture in rather obvious ways; the text says “king” so we pump our fists, the text talks of “writing” so we make scribbly gestures. At some point the soloists start to rearrange the pieces of paper with the names of the dead in a sort of game of Dearly Departed Patience. The soloists exit through the orchestra. The lights go down. The End. A “semi-staged” Mozart Requiem to be directed by Joel Ivany. That’s scheduled for January 21st to 23rd next year with soloists Lydia Teuscher, Allyson McHardy, Frédéric Antoun and Philippe Sly. Bernard Labadie will conduct. I’m very curious to see what Joel does with this. Handel’s Messiah in the extremely non-baroque Andrew Davis orchestration. He will also conduct. The soloists are Erin Wall, Liz DeShong, Andrew Staples and John Relyea. This one is being recorded live for the Chandos label. It runs December 15th to 20th this year. 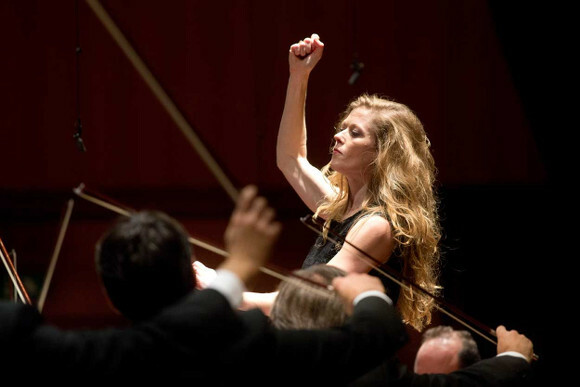 Barbara Hannigan appears as both soprano and conductor. On October 7th and 8th she has a program of Nono, Haydn, Mozart, Ligeti and Stravinsky. Russell Braun shows up with Erin Wall for a performance of Vaughan-Williams Sea Symphony on October 21st and 24th and again during the New Creations Festival where he will sing Brett Dean’s Knocking at the Hellgate. 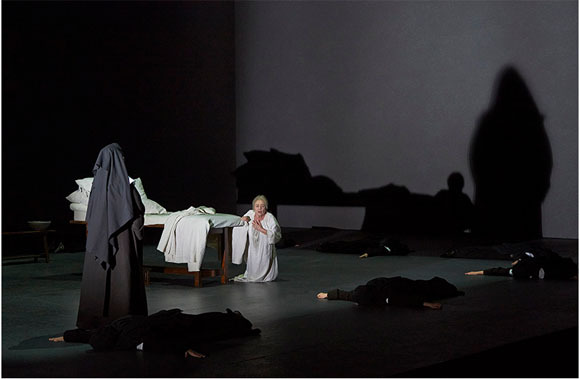 Poulenc’s Dialogues des Carmélites is a strange and compelling piece. Dramatically it is very “slow burn” with a narrative arc that builds over almost two hours to a final scene of searing intensity. Without that final scene the piece would have no reason but it justifies all and only one “fit for treasons, stratagems, and spoils” could possibly leave the theatre unmoved. It’s not just moving, done well it’s emotionally devastating. 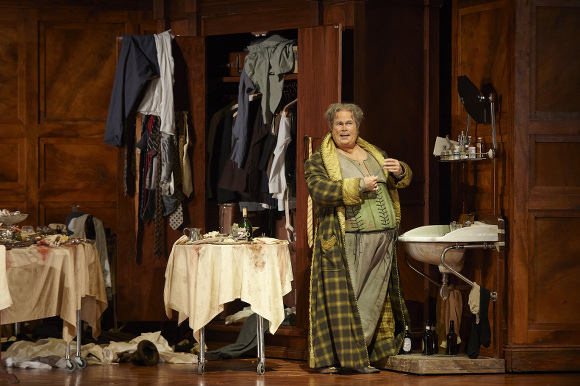 And that’s the state I left the Four Seasons Centre in last night after a near perfect performance of Robert Carsen’s extraordinary production.